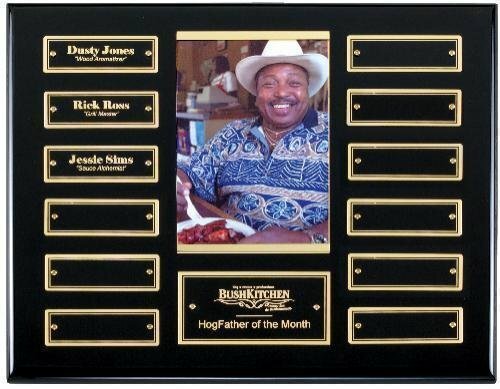 Price includes engraving of header plate and up to 5 individual plates at time of order. Future engraving not included. 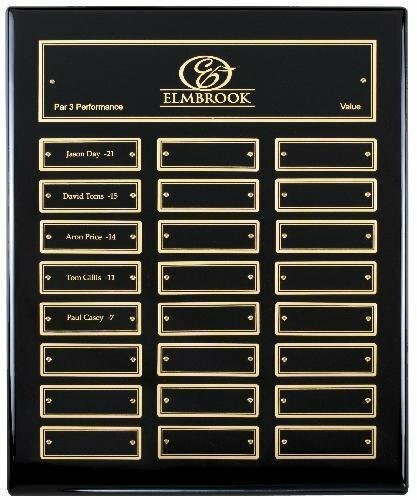 Recognize your contributors in style with this modern perpetuall plaque. 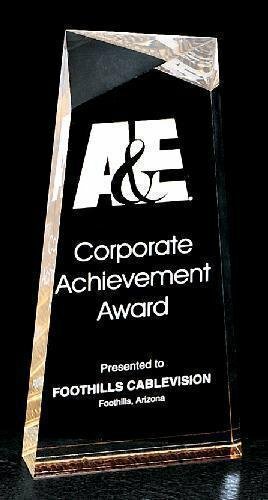 Black and silver colors coordinate well with many types of office decor. 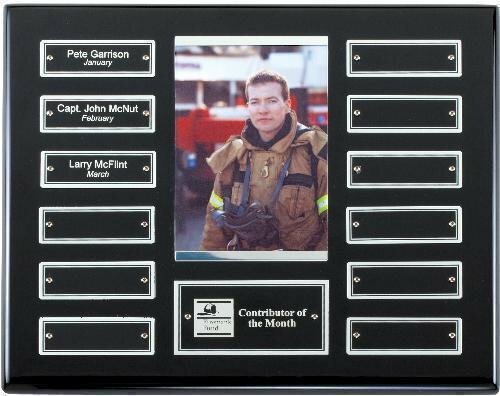 High Gloss Ebony Perpetual Plaque with black header plate that engraves silver, 12 matching individual plates and space for a photo or logo. 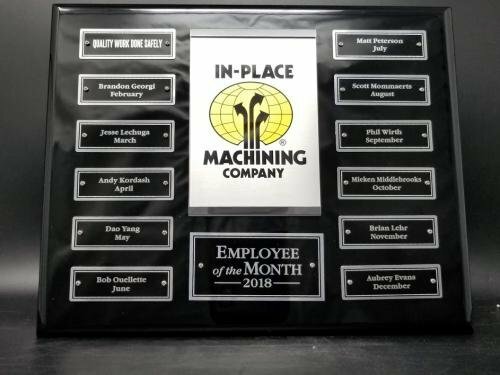 Release program available for simple administration of engraving updates. 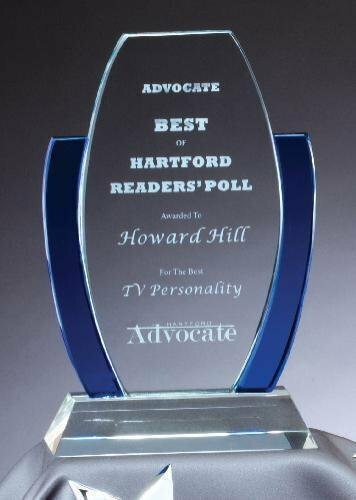 Inquire for details. 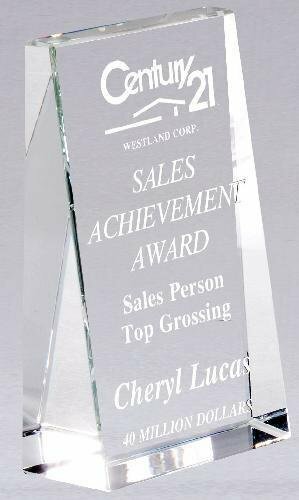 Acrylic tower with faceted top reflects light onto the message below. 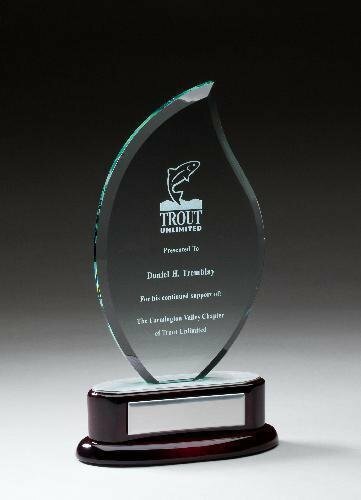 Personalize with laser engraving or full color imprinting. 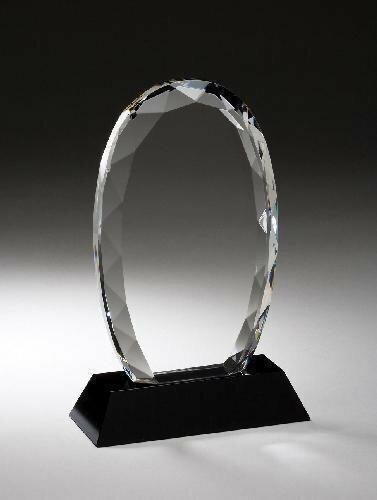 Contemporary, free standing angled rectangle made of fine optical crystal. 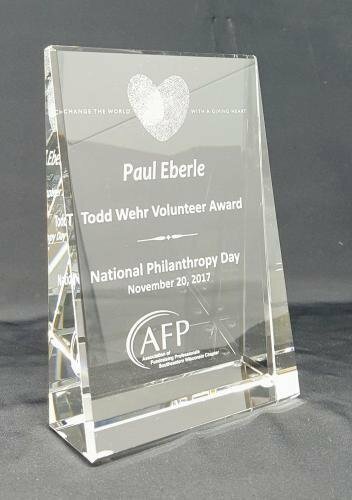 Deep sand etched with your message. 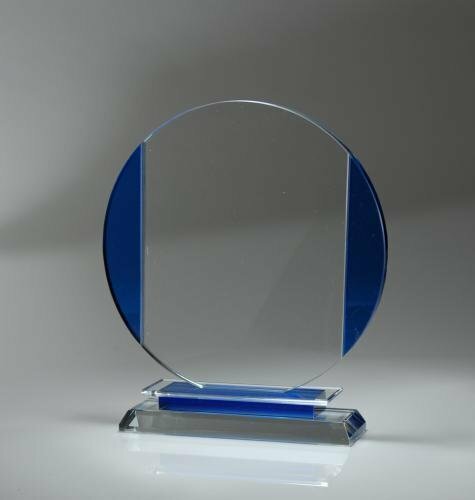 Colorful Round Blue Laserable Glass Award Trimmed in Dark Blue Transparent Glass. 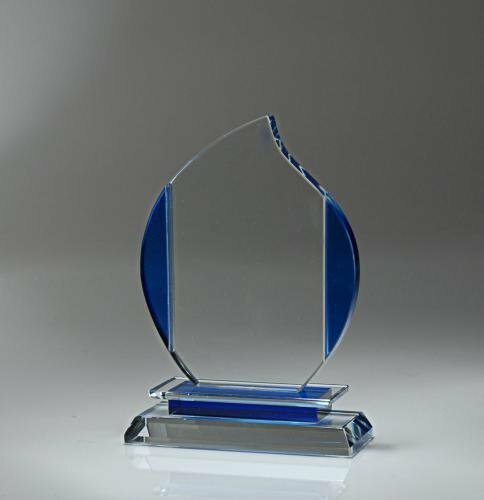 Colorful Flame Blue Laserable Glass Award Trimmed in Dark Blue Transparent Glass.